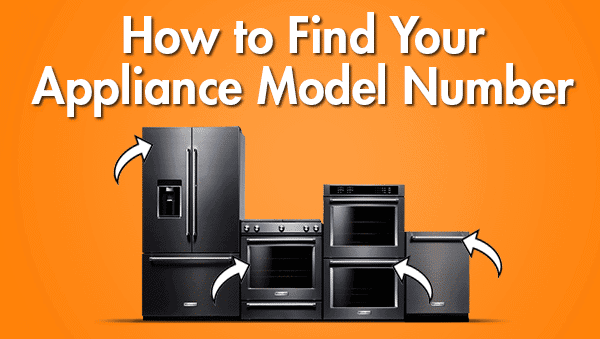 When you need service on your home appliance, it’s a good idea to locate the model number prior to calling for service. When you provide the model number to the technician, he will be able to consider possible repair scenarios before arriving, which will help him identify the parts he may need to complete the service. Every machine requires different parts, so the technician will rarely pre-order a part without the model number in hand. 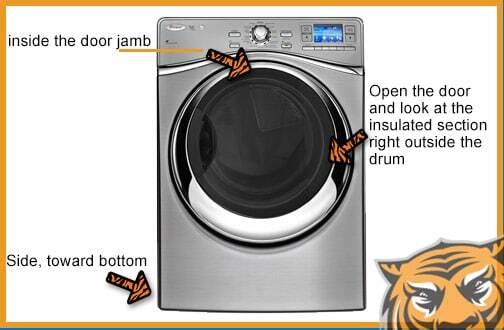 The model number on your dryer may be on the side toward the bottom, inside the door, or inside the door jamb. Open the door and look at the insulated section right outside the drum, as well as on the bottom of the inside of the door itself. 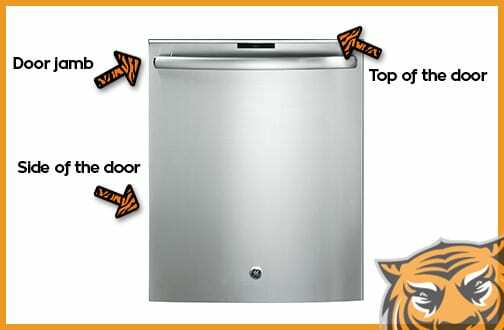 For a front loader washer, the model number is going to be on the side at the bottom, on the inside of the door jamb, or on the inside of the door. 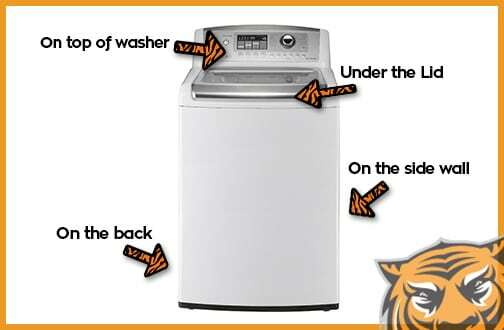 For a top loader washer, the model number will be on the top, on the back, under the lid, or on the side wall. 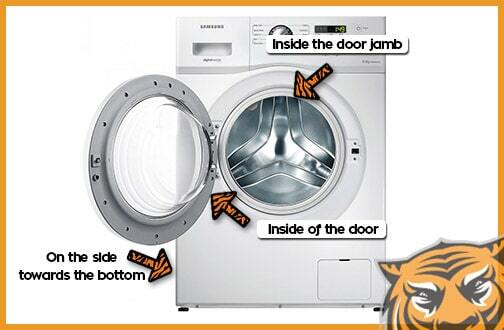 There are several places where you might find the model number on your dishwasher. Look in the door jamb, on the side of the door, and on the top of the door. Also, check on the inside tub. 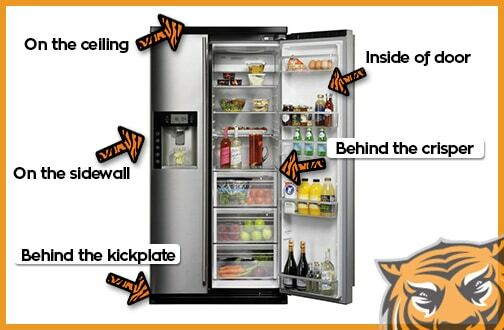 The placement of your model number on your refrigerator will be the same whether you have a side by side refrigerator or a top freezer refrigerator. 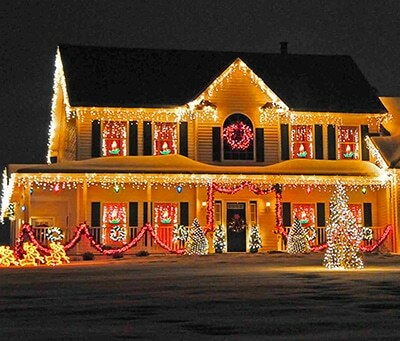 You should look on the ceiling, on the side wall and behind the kickplate, as well as on the inside of the refrigerator door, and behind the crisper. 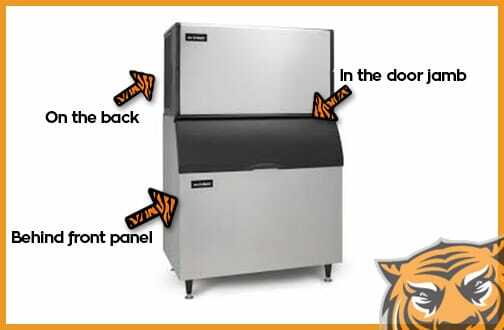 The model number on your ice machine will be on the back, behind the front panel, or in the door jamb. 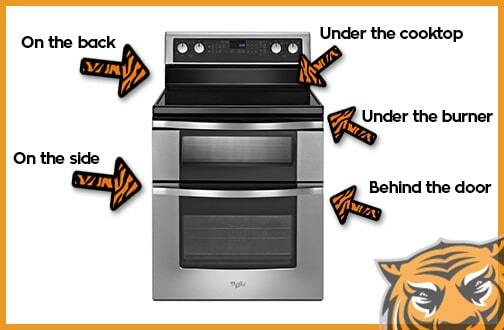 Ranges, ovens, and stoves are often all-in-one appliances, and the model number may be found in any of the following places: on the back, on the side, under the burner, under the cooktop, behind the door, or behind the drawer. 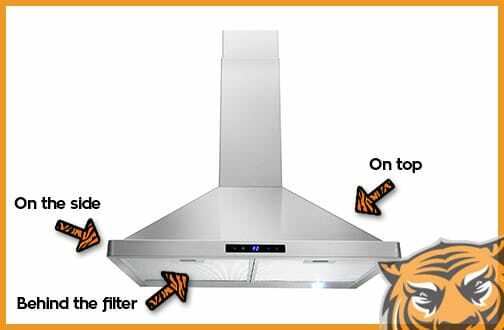 The model number on your range hood may be found on the top, under the side, or behind the filter. 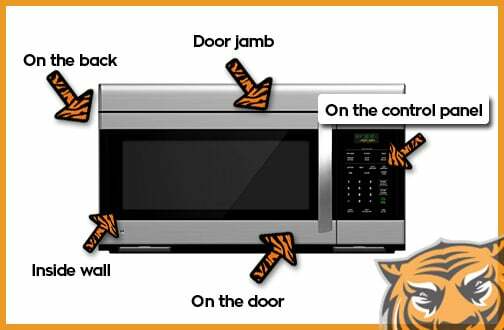 You can find the model number for your microwave on the back, on the inside wall, on the control panel, in the door jamb, or on the door.